Prolonging a gear set’s life and increasing a gear set’s efficiency are two key factors you must consider when selecting an API GL-4 level gear oil. 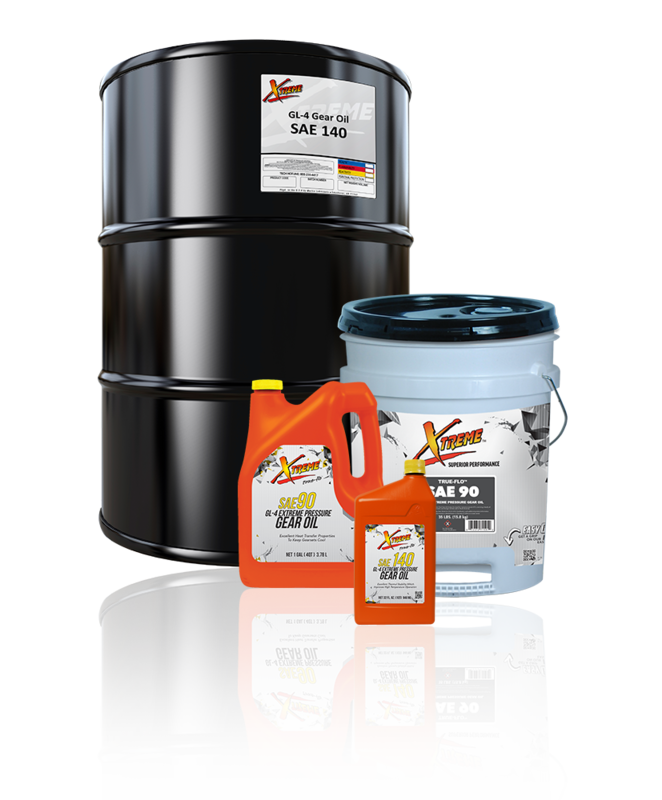 Xtreme™ GL-4 SAE Gear Oils are blended from highly refined base stocks and combined with extreme pressure additives plus rust, oxidation, and foam inhibitors to extend the life of your machine’s components. Xtreme GL-4 SAE Gear Oils are ideal for use in gear reducers, oilfield pumping units, automotive and heavy duty transmissions, and automotive and heavy duty differentials where an API GL-4 service level is recommended. Xtreme GL-4 SAE Gear Oils are not recommended for use in automotive and heavy duty differentials using offset spiral bevel (hypoid) gear sets. Use API GL-5 gear oils for those applications as specified by the manufacturer. Xtreme GL-4 SAE Gear Oils are available in the following viscosities: SAE 90, SAE 140.